ONLINE EXCLUSIVE! 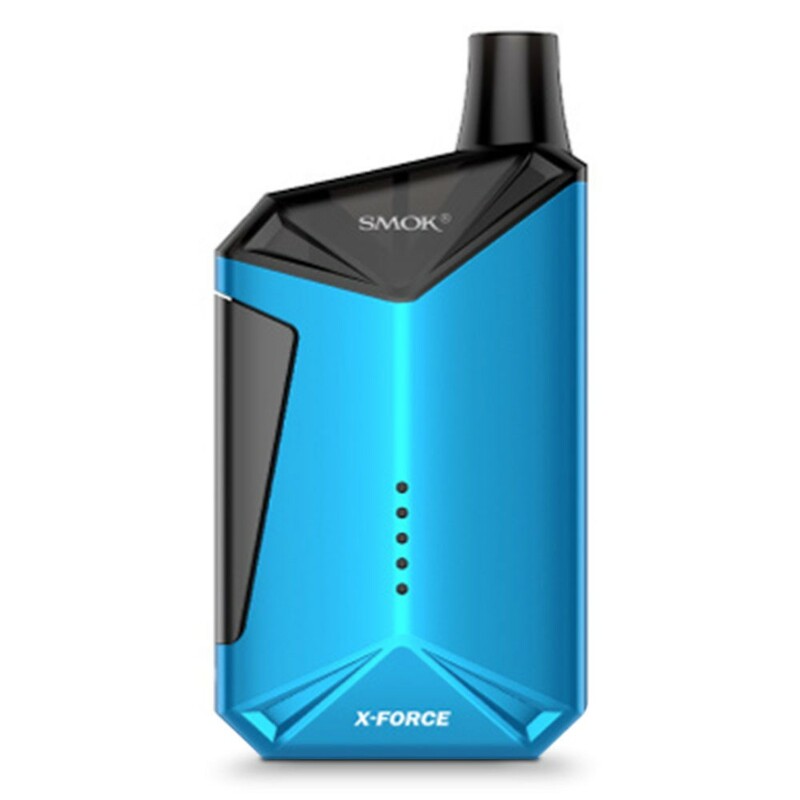 Smok’s X-Force Vape Kit is an easy to use pod system which is ideal for vapers looking for a light-weight and easy to use vape device. 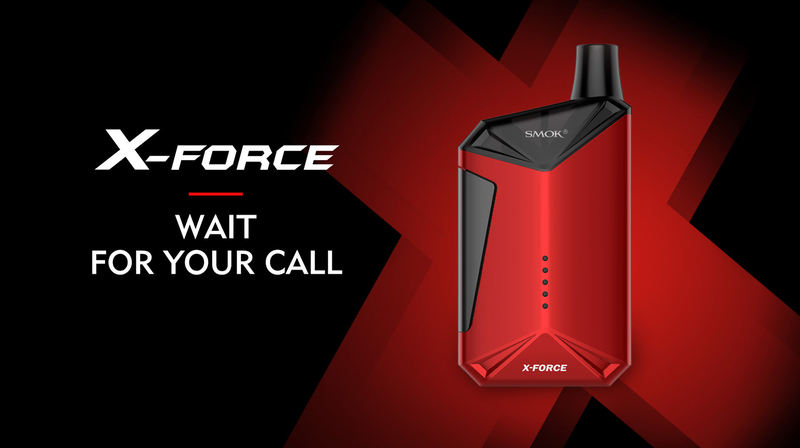 The X-Force follows a sleek and minimalist design for vapers who prefer a sleek, modern look. Carved designs at the bottom and the top of the device point at each other in an X design that gives the device it’s name. 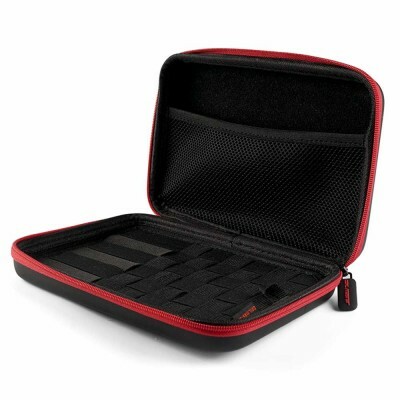 The Xforce is essentially a pod system, which have become popular for their ease of use. One advantage that the Xforce pods have is their replaceable coils, which means that you don’t have to buy an entire new pod when it’s time to replace your coil. 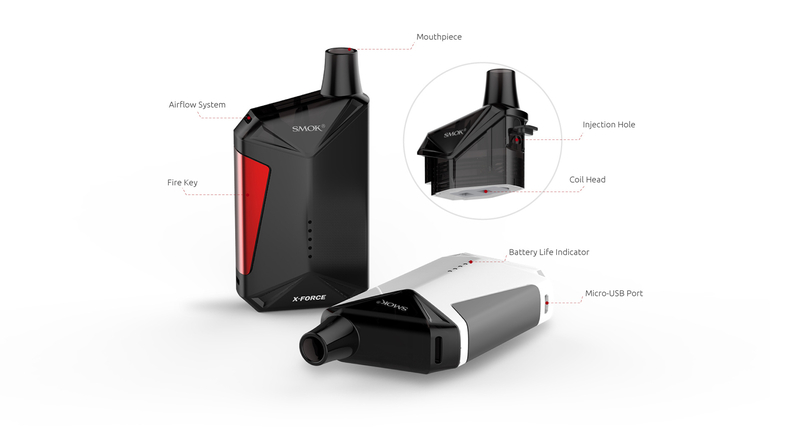 With the XForce coil Smok have changed the direction of the airflow to minimise risk of leaking and to increase airflow, which is ideal for vapers looking for more vapour and a lighter, airier vape. The kit comes with two X-Force coils, with a resistance of 0.6 ohms and 1.2 ohms. The lower resistance of the 0.6 ohms means the X-Force is a good fit for users who like more vapour and a direct to lung vape experience, while the 1.2ohms coils is better for vapers who prefer a more restricted draw. 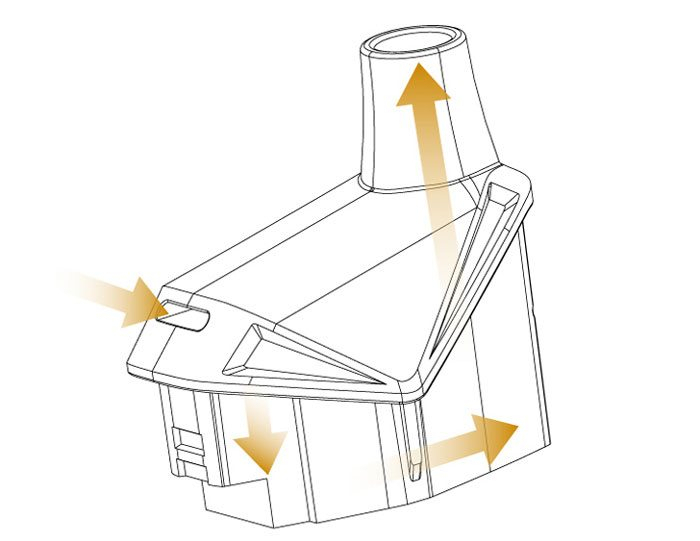 The majority of pod systems come with higher resistance coils, meaning they are best used with high PG e-liquids such as Halo e-liquid, which comes with a VG:PG ratio of 50:50, and nicotine salts. 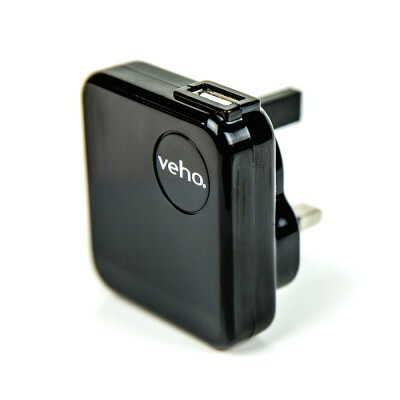 However, the X-force 0.6 ohm coil would be able to handle high VG e-liquids better than most pod systems.